Featuring the six hotels on the OR Tambo International Airport precinct. 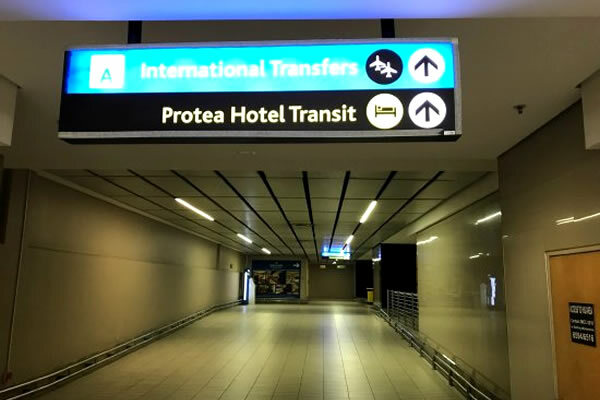 There are 6 hotels situated within the OR Tambo International Airport precinct offering convenience and quite varied room rates depending on the level of comfort and price levels required. 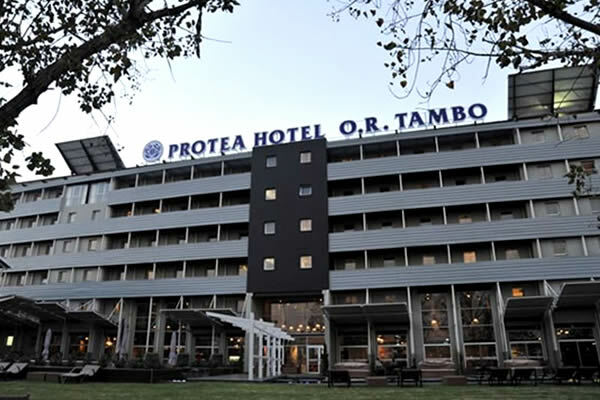 The 6 OR Tambo Airport hotels are the Garden Court Airport Hotel, Southern Sun Airport Hotel, InterContinental Airport Hotel, City Lodge Airport Hotel, Protea Airport Hotel and the Protea Airport Transit Hotel. These hotels are features below with information, Location Map, facilities available and search facilities to find and compare the cheapest hotel provider to get the cheapest available room rates on the internet. 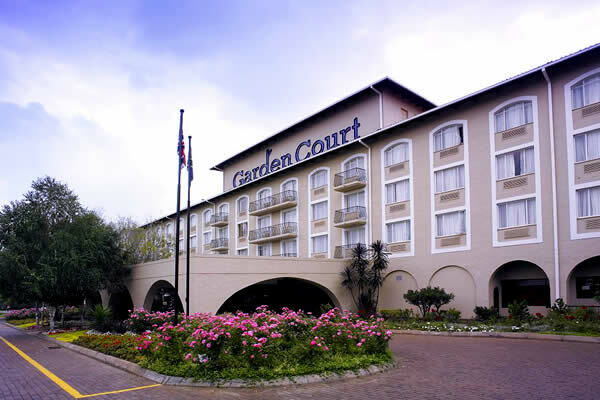 General: Garden Court OR Tambo Airport Hotel provides 3-star accommodation in Kempton Park, just minutes from OR Tambo International Airport and East Rand's major business areas. The hotel is within walking distance of Rhodesfield Metro Station. Location: Situated in Kempton Park, minutes to OR Tambo Airport, close to casino, cinema, shopping mall. Facilities: Wireless internet, landscaped gardens, outdoor pool, casino, 24 hour reception, air conditioned, bar, restaurant, fitness centre/gym. 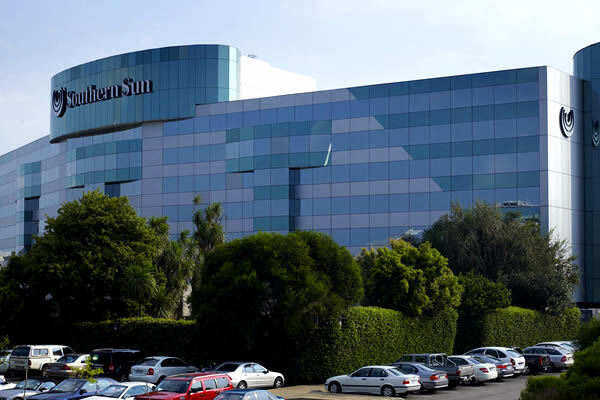 General: Southern Sun OR Tambo International Hotel provides 3-star accommodation in Kempton Park, just minutes OR Tambo International Airport. It also features a free shuttle service to the terminal (every 15 minutes), a hair salon and massage services. Facilities: Wireless internet, landscaped gardens, outdoor pool, 24 hour reception, air conditioned, bar, restaurant, fitness centre/gym, satellite TV, business centre. 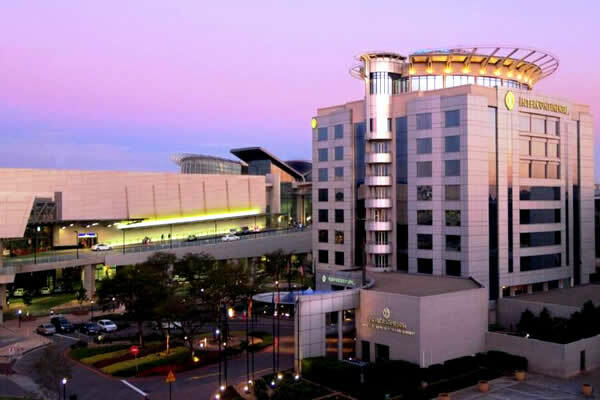 General: InterContinental Johannesburg OR Tambo Airport provides 5-star accommodation in Kempton Park, just a few metres from the OR Tambo International Airport terminal entrance. Location: Situated in Kempton Park, minutes to OR Tambo Airport, on the airport precinct outside the OR Tambo Airport terminal entrance. Facilities: Wireless internet, indoor pool, fitness centre/gym, 24 hour reception, 24 hour room service, air conditioned, bar, restaurant, fitness centre/gym, valet parking. 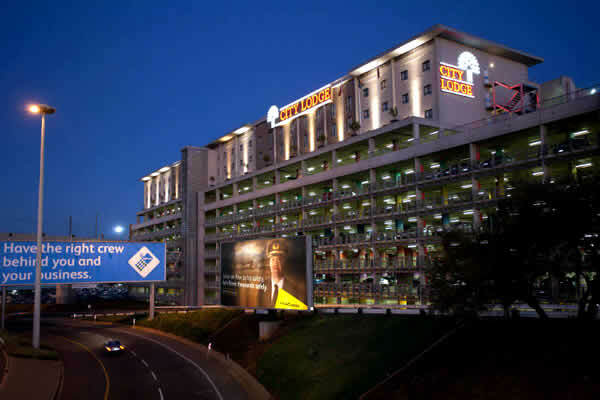 General: Airport City Lodge Hotel is conveniently situated within the OR Tambo International Airport precinct. It provides 3-star accommodation with air-conditioned rooms and outdoor pool. Location: In an elevated position over Parkade 2 South, on the OR Tambo International Airport precinct, minutes from the main terminal entrance. Facilities: Wireless internet, valet paking, free shuttle service, outdoor pool, 24 hour reception, air conditioned, cafe bar, restaurant, fitness centre/gym. General: Protea Hotel OR Tambo Airport is located in Kempton Park and offers modern accommodation. 24-hour room service and an express check-in and check-out feature. Location: Situated in Kempton Park, 10 minutes to OR Tambo International Airport, using the hotels free shuttle service. Facilities: Wireless internet, swimming pool with kids pool, bar restaurant, 24 hour reception, satellite TV, fitness centre/spa, currency exchange and babysitting service. General: Protea Hotel Transit, OR Tambo Airport offers 4 star accomodation for international transit passengers with 24 hour reception and room service. Location: Situated inside OR Tambo International Airport International Departures terminal A transit lobby. Facilities: Wireless internet, satellite TV, bar and restaurant, cafe bar, laptop safe, flat screen TV, 24 hour room service and reception. Map of the 6 hotels situated within the OR Tambo International Airport precinct.